The media has taken an increasing interest in the 28 pages that were redacted from the 9/11 Joint Congressional Inquiry Report. The stories usually feature one of the Inquiry’s leaders, former Senator Bob Graham, who has claimed that the missing pages point to involvement of the government of Saudi Arabia. Although Saudi complicity is in no way surprising, facts that are often overlooked suggest that Graham’s actions may not be entirely straightforward. This leads independent researchers to raise concerns about his intentions and those concerns are justified. To begin with, Graham never calls for release of other documents collected by the government’s 9/11 investigators, most of which are still held secret. That includes the majority of 9/11 Commission documents, of which only a fraction have been released—with much of the content redacted. The release of Commission documents is hindered by claims that they are exempt from the Freedom of Information Act (FOIA) because they are congressional records. Nonetheless, the public deserves to see documents that might answer critical questions. Moreover, Graham shows no interest in the many alarming facts about 9/11 that have been uncovered through released documents and videos. Some things that have been released via FOIA request are far more compelling than claims of Saudi financing. These include numerous testimonies to explosives being used to bring down the World Trade Center (WTC) buildings. After a lawsuit by 9/11 victims’ families, the oral histories of the New York City Fire Department (FDNY) were released in August 2005. At least 23% of those eyewitnesses gave testimony to explosions in the Twin Towers. About 60 FDNY members reported hearing warnings of the unpredictable “collapse” of WTC Building 7. Still held secret by the National Institute of Standards and Technology (NIST) are the agency’s computer models on which it based its non-explosive conclusions. In response to a FOIA request, a NIST spokesman declared that revealing the computer models would “jeopardize public safety.” Graham is never heard challenging that absurd justification for withholding critical information, nor has he objected to the fact that NIST conducted an entirely unscientific WTC investigation. 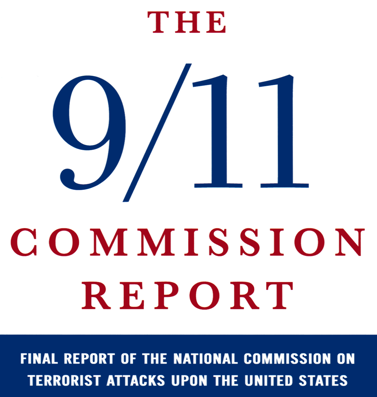 Much of the 9/11 Commission Report was based on torture testimony, the records of which were destroyed by the CIA. Since that time, the government has produced documents stating that the first alleged al Qaeda leader tortured for information was never related to al Qaeda in any way. This means that all of his torture testimony, upon which the 9/11 Commission Report was based, was false. Yet Graham and his supporters say nothing about it. The U.S. official most responsible for preventing terrorism in the years prior to 9/11 is known to havehelped Osama bin Laden evade capture at least twice. That same official was a personal friend and representative of the leaders of the United Arab Emirates, a country that Bob Graham’s investigation glossed over despite its many links to 9/11. According to Jeffrey St. Clair of Counterpunch, Tommy Boggs may have been behind the redaction of the 28 pages from the Joint Inquiry Report. A long-time Washington powerbroker and son of a member of the Warren Commission, Boggs was a public relations consultant for the Saudi royal family. That connection is remarkable given that the Boston Globe reported, in November 1990, that a partner in Boggs’ firm was a director of the Kuwait-American Corporation (KuwAm). As anyone interested in 9/11 knows, KuwAm was the firm that owned and operated Stratesec, the security company for several 9/11-related facilities. There are many reasons why the leaders of KuwAm and Stratesec are central suspects in the crimes of 9/11. These facts are of no interest to Graham or the mainstream media. For unknown reasons, they only seem interested in uncovering Saudi involvement. Such inexplicable behavior, particularly when it has to do with 9/11, should raise concerns. Little discussed facts about Graham might shed light on the answer to this dilemma. While Graham was trying to stop an investigation, the Senate voted for one anyway. The compromise was that Graham and his CIA operative protégé, Porter Goss, would run it and that it would have a very limited focus on intelligence agency shortcomings. And although Graham now claims that the Bush Administration covered-up Saudi involvement in 9/11, he and Goss, who had an interesting history together, led an inquiry that covered-up 9/11 in nearly every other sense. When Graham and Goss announced their inquiry in February 2002, they made it clear that they would not pursue “blame game” attempts with respect to “what went wrong.” The resulting investigation was completely deferential to the intelligence agencies that it was chartered to investigate. Due to an alleged leak, Graham and Goss even supported the FBI’s investigation of their own panel members while the panel was investigating the FBI. As expected, the final Joint Inquiry Report was largely a whitewash. Another unnoticed fact is that Graham’s calls for release of the 28 pages have matched up, chronologically, with changes in Saudi government leadership. That is, the times when Graham has made noise about the 28 pages have run parallel to the times of uncertainty with regard to the succession of the Saudi monarchy or Saudi strategic partnerships. This suggests that Graham is simply using the redacted section of his report as a control mechanism to bring new Saudi leadership in line with continued U.S. interests. Although Graham joined others to call for release of the 28 pages in July 2003, perhaps in an attempt to pressure Saudi Arabia to fully support the War on Terror (which it did soon after), he did not continue that effort. In fact, Graham appeared to ignore the issue for the next seven years. In November 2010, the illness of King Abdullah began to stir fears over the succession to the Saudi throne. Just a few months later, Graham released a novel that hinted at unresolved questions about Saudi involvement in 9/11. In late 2013, the Saudi government announced that King Abdullah was very ill and, in late 2014, his death was said to be imminent. At the same time, the Saudis began forging a new strategic relationship with China, leaving people to wonder if the U.S. was “losing Saudi Arabia to China.” That was when Graham really turned up the heat. He joined a coalition of U.S. congressmen who began resurrecting the issue of the 28 pages with gusto and they began to get a lot of attention from the mainstream media. The demise of Abdullah ignited conflict among factions within the Saudi power structure. The Saudi king died in late January 2015 and Graham’s new calls for release of the redacted section became increasingly well covered as the new king, Salman, took office. The calls for what Graham says is evidence that Saudi Arabia financed the attacks continue to this day as King Salman demonstrates an as yet unclear position toward the United States. Overall, there appears to be a correlation between times when Saudi support for the U.S. is perceived as being threatened and times when the media publicizes possible Saudi connections to 9/11. With the rise of King Salman and the growing Chinese-Saudi relationship, new connections have been reported as coming from the imprisoned convict Zacarias Moussaoui as well as through claims about an FBI cover-up of a Saudi family in Sarasota. Americans should be interested in the release of any information that sheds light on the crimes of 9/11. However, it should always be remembered that Saudi oil is the single most important resource related to U.S. economic stability. Continual U.S. control of the government that holds that resource is, therefore, paramount. Bob Graham and the media may forget about the missing 28 pages if and when King Salman is sufficiently cowed to U.S. interests and China becomes less threatening as a Saudi strategic partner. But one thing is certain—if the only mainstream coverage of 9/11 questions continues to center on implications of Saudi financing of the attacks, the truth about what really happened will remain solely a matter of independent inquiry.